It is widely agreed that ownership through syndication should be encouraged for the overall good of racing, but it is also recognised that those who run syndicates should do so with the utmost integrity and openness while applying the rules of best practice. 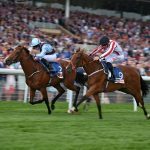 Racecourses have certainly played their part in supporting syndication, but the increase in group ownership has not been without its problems. In particular, the number of people who often occupy the parade ring these days is now giving real cause for concern. We live in a world of increasing regulation and one in which racecourses have to take their health and safety responsibilities very seriously. This is an area that requires careful handling because any owner connected with a runner naturally expects to go into the parade ring. It is an important part of the racecourse experience, which the ROA, working with racecourses, has done so much to foster in recent years. The problem is self-evident. You have only to witness the scene before, say, a 20-plus runner race on a course with a fairly small parade ring. Any one of those runners might have ten or even more syndicate owners wanting to be in an area that is patently not adequate to accommodate that number of people. Too many people standing too close to what can be young, excitable horses and you have – to coin that unfortunate phrase – ‘an accident waiting to happen’. It is not possible for racecourses to devise a one-size-fits-all formula to deal with this problem. Every racecourse is different, some with very large parade rings of oval shapes and others comparatively small and more circular. Calculations based on the BHA General Instructions and work carried out by the Racecourse Association suggest, in the most extreme cases, only three connections per runner should be permitted to enter the parade ring over and above that of trainer, jockey and stable staff. The problem may also be exacerbated by the fact that not all owners are used to being around horses, while the current ruling that children under 12 years old should be excluded from the parade ring is often flouted and can result in the racecourses being put in a very difficult position. Each racecourse is encouraged to work to a risk assessment programme that is tailored to their specific needs and which reminds the course of the type of issues they might run up against. Many racecourses have taken to painting a white line approximately a metre and a half inside the inner perimeter of the horse walk to ensure a safe distance remains between people and horses. Trainers always need to bear in mind that in the event of an unruly horse causing damage to people or property on the racecourse they could be liable to legal redress. And, in some circumstances, that liability might also fall onto the owner of the horse. 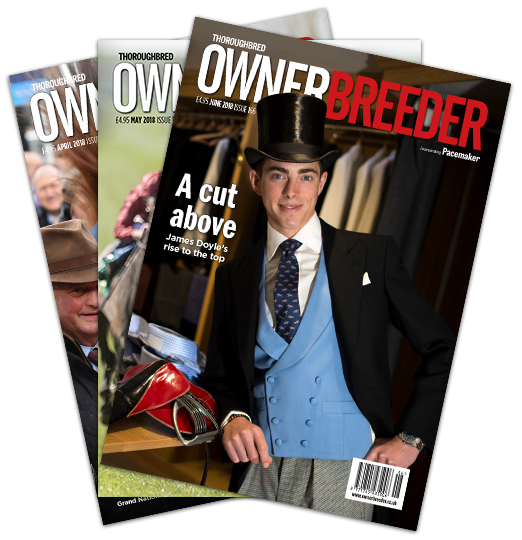 It is important that those managing syndicates must keep a reasonable lid on the expectations of their syndicate members. Along with their other duties, they should liaise with the racecourse to ensure they know how many of their members can go into the parade ring. At the same time, some racecourses might be advised to follow Ascot’s example and introduce a ticketing system when they anticipate numbers might run over the maximum capacity of the parade ring. This way, each syndicate would be issued with a set number of tickets per horse for parade ring entry. Then connections who were not able to go into the parade ring could be put at the top of the list for entry into the winner’s enclosure (should they be fortunate enough to find themselves in that position) or they could be invited into the pre-parade ring. Yes, parade ring safety is an excellent illustration of why, as ownership syndication expands, so the administration surrounding it must keep pace.